Vermont Soap Organics is a company that believes in using natural ingredients that are free of sodium lauryl sulfate and other harsh chemicals that damage the skin. They are free of animal products, and no animal testing is used. Instead, when you try this organic soap, you’ll experience all natural bliss! All of the soaps are made with a hypoallergenic soap base made with organic coconut, palm, olive, and palm kernel oils. The soaps are simply made, but great for the skin. Vermont Soap Organics bar soaps are handcrafted using a 200 year old process. It takes nearly a whole month to make a bar of soap, so you know these products are made with quality in mind. You don’t have to worry about artificial colors, flavors, or preservatives either. The soaps are completely free of chemicals and artificial ingredients. Whether you have dry, oily, or sensitive skin, there’s a soap made just for you. From "Citrus Sunrise" to "Balsam Swirl", Vermont Soap Organics bar soaps are a great way to pamper your skin. 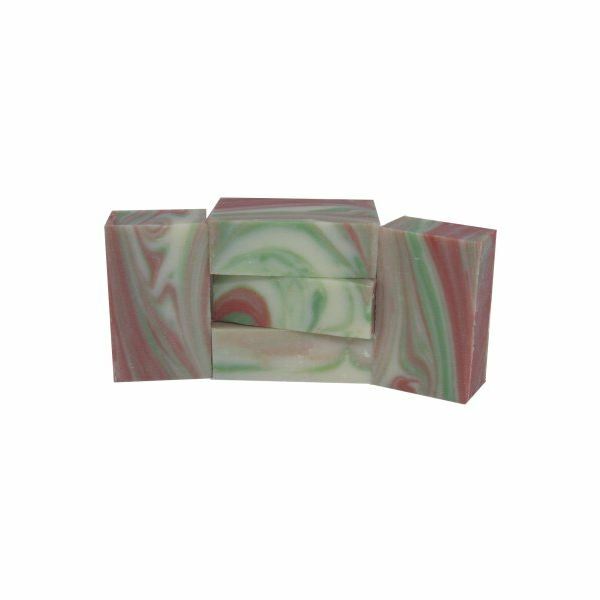 You can even find a tea tree oil organic soap that works wonders as an antiseptic. Keep it in your first aid kit as a natural treatment for scrapes, cuts, and other skin abrasions. Vermont Soap Organics makes more than just organic soap. You’ll find liquid castile soaps, shower gels, and foaming hand soaps. To make the liquid castile soaps and shower gels, essential oils are added to an organic coconut, olive, jojoba, and organic aloe vera base. You can purchase liquid castile soaps and shower gels in bulk 1 and 5 gallon jugs and pails or 8 and 16 oz. bottles. Country lavender, lemongrass zen, sweet orange, peppermint magic, tea tree, are available. Bath salts, refreshing sprays make fabulous gifts for anyone who values natural, wholesome ingredients. Vermont Soap Organics makes some really nice products for animals as well as people. Pet shampoo and horse shampoo is infused with essential oils that repel ticks and fleas, while skin is moisturized, not dried out by chemical detergents, fragrances, or colors. These shampoos are safe as well as non-toxic to animals. Not only are great soaps available through Vermont Soap Organics but they have other eco-friendly choices in personal care products as well. Fruit and Veggie Wash is an excellent spray wash for all your produce. In addition, you’ll find yoga mat wash and Liquid Sunshine Non-toxic Cleaner. Liquid Sunshine is a great all purpose cleaner. Use it in every room, as well as in place of your regular carpet cleaner. It works wonders on laundry, eliminating the need for fabric softeners. People with sensitive skin may find that Liquid Sunshine is much gentler on their skin since its base is castile soap, and it’s free of all artificial detergents, fragrances, and preservatives.